Every year, hundreds of thousands of men and women choose to have a blepharoplasty surgery to improve their look. This reconstructive surgery improves the appearance of the upper and lower eyelids by tightening muscles and tissue or removing excess fat and skin. Blepharoplasty is now the most popular facial plastic surgery procedure after nose surgery (rhinoplasty), reflecting the importance that the eyes play in one’s overall appearance. No wonder because two-thirds of adults consider the eyes to be the defining feature of the face. Our highly-trained and experienced physicians perform cosmetic blepharoplasty procedure on both men and women. It offers a younger, more refreshed look that reflects across the whole face, with minimal downtime. You may have read about an “eyelid lift”, but this is a misuse of the term, because the eyelids are not actually lifted during surgery. Droopy eyelids can make you look older and impair vision. A blepharoplasty procedure corrects these problems and removes the puffiness and bags under the eyes that make you look worn and tired, and appear much older or fatigued than you actually are. Aging, sun damage, smoking, stretching and obesity can cause your eyelids to droop and sag. Since the skin of the eyelid is thinner than the rest of the face, this area is often one of the first to decline. Sometimes it can be a hereditary condition that runs in your family. If you’re unhappy with the appearance of your eyes, let one of our highly-trained and skilled physicians explain your options to improve your look and increase your confidence. If you are considering a blepharoplasty surgery, read our 5 must-know details about a blepharoplasty procedure. 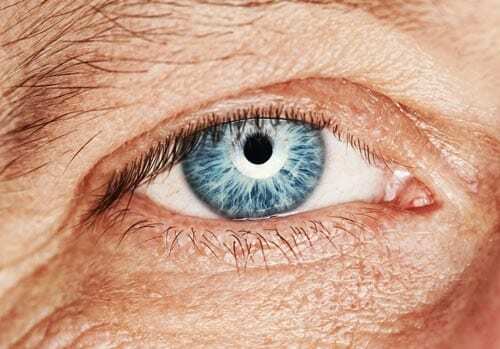 As we age the skin above and around your eye can droop and sag. The cosmetic plastic surgery to tighten this skin is known as a blepharoplasty surgery.